In 1962, the International Geneva Accords declared Laos to be neutral and generally restricted from foreign interference and foreign troops. Thus began the CIA's secret war in Laos, led by a handful of CIA paramilitary officers in the mountains of Laos against North Vietnamese and Lao Communist forces. 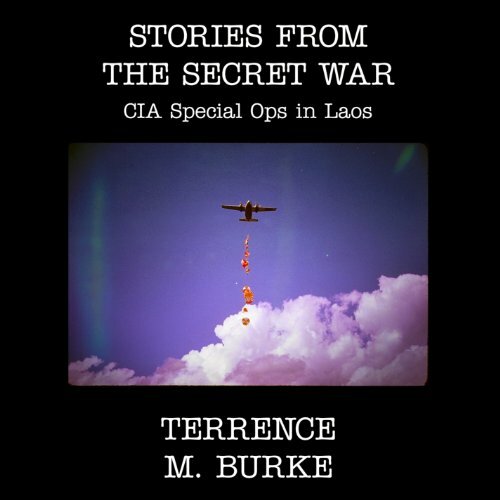 One of those secret warriors, CIA Silver Star recipient Terrence Burke, gives a vivid account of primitive guerrilla warfare that eventually led to an attempt by the North Vietnamese to capture him. Burke's stories of that war are of gritty and often deadly hit and run tactics against the North Vietnamese, attempted rescues of downed pilots, and daily survival far from American support. Would you try another book from Terrence M. Burke and/or Michael Pearl? What could Terrence M. Burke have done to make this a more enjoyable book for you? Terrence served in the CIA's Directorate of Support, Office of Security. His book is full of self aggrandizing anecdotes and does not cover either the history of the war in Laos or the history of the CIA's involvement in the war in Laos. He loves to talk about himself and his abilities. What about Michael Pearl’s performance did you like? I thought Michael did a great job with the material he had to work with. There are several unintentionally enlightening factoids and anecdotes in the book but it requires a pre-existing understanding of the Agency and it's history. Terrance M. Burke went on to become Deputy Administrator of the DEA from 89 to 91. He has regularly appeared on TV and clearly loves sharing his "expertise" with others.